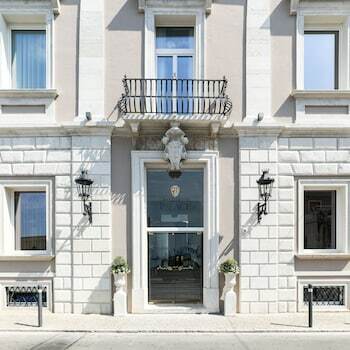 With a stay at Grand Hotel Palace, you'll be centrally located in Ancona, steps from Chiesa di Santa Maria della Piazza and within a 5-minute walk of Loggia dei Mercanti. Featured amenities include a computer station, complimentary newspapers in the lobby, and dry cleaning/laundry services. Self parking (subject to charges) is available onsite. Located in Palermo (Kalsa), Hotel Orientale is within a 10-minute walk of Church of San Cataldo and Martorana. Located in Modica, Casa Vacanze Modicarte is within a 10-minute drive of Chocolate Museum of Modica and Church of San Pietro. Free self parking is available onsite. With a stay at B&B San Remigio Firenze in Florence (Santa Croce), you'll be within a 5-minute walk of Palazzo Vecchio and Uffizi Gallery. The front desk is staffed during limited hours.